There have been new wall papers invented that have an adhesive backing, trying to make paste obsolete. We here at BannersOnline are fans of the good old fashioned application method, paste and elbow grease for our wall paper printing. It is easier to apply and more forgiving when making a mistake. 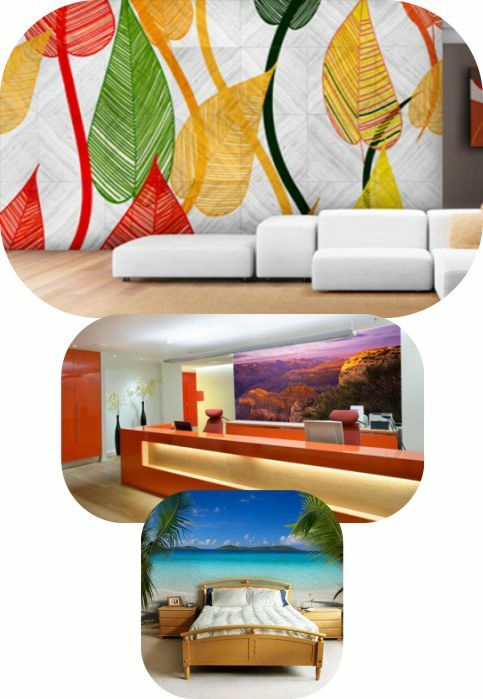 There are various kinds of wall paper, commonly referred to as smooth or textured, adhesive backing or non. We love our wall paper textured, non backed and full colour digitally printed, we hope you do too.